FDIC 2017 is around the corner! Suburban Fire Tactics will be back for our 7th consecutive year. Do you want to talk fire STUFF? Do you want to talk tactics and strategy? 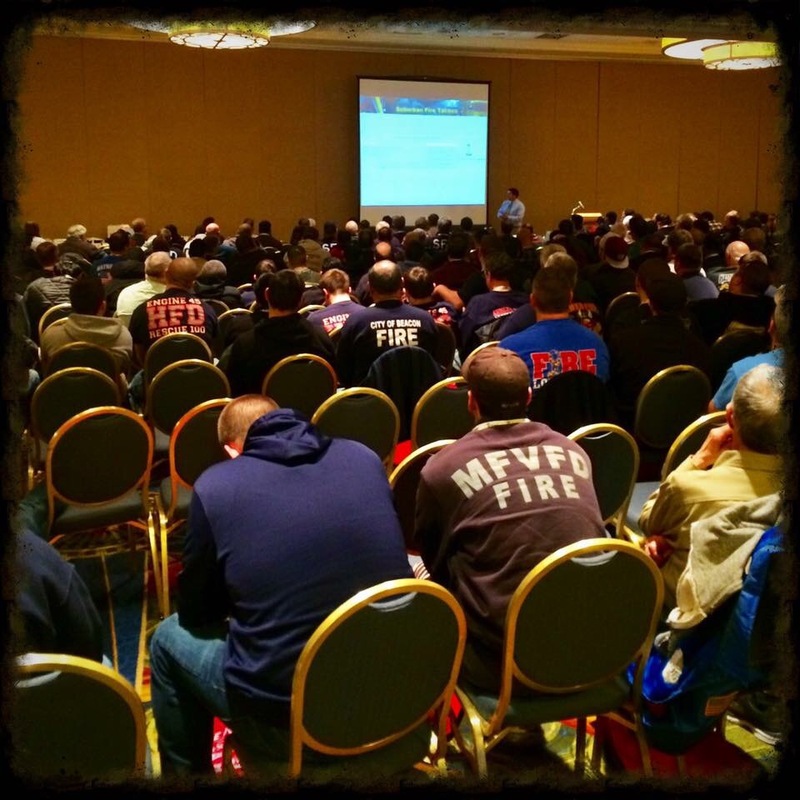 Do you want to talk about fire ground implementation consistent with your circumstances? Then come to Suburban Fire Tactics from the Right Seat on Wednesday (4/26/17) at 10:30, right after opening session. Suburban Fire Tactics from the Right Seat will be applying all the concepts from the SFT text book (Fire Engineering Books and Videos 2013) for scenario based challenges, which were devised in Suburban Fire Tactics from the Right Seat video (FEB&V 2016). Mission success! A huge thank you to the Elmsford FD in Westchester, NY for having me speak at their annual Andy Fredericks Memorial Seminar. Humbled and honored to be able to present to such a large audience of enthusiastic firefighters (398 plus 30 vendors) for such a great cause. Suburban Fire Tactics is headed back to New York for the Lt. Andy Fredericks Memorial Seminar and Exhibits. Thank you Elmsford Fire Department! I was reminded yesterday on a fire how important experienced company officers and interior benchmarking are in reference to initial fire attack. SOGs are essential, but they are only as good as the people who implement them. It can mean the difference between operational success and failure, failure being loss of life or property (in our world). Can one learn from a book what hot feels like or when their initial attack line is pinned down? There is only one way to know that the interior conditions of a structure fire are not changing and overwhelming. EXPERIENCE of the fireground. The company officer in question is an aggresive, hard nosed firefighter. Instead of futily trying to push into a situation which his handline was not affecting, he quickly diverted “fire power”,” made a second push and contained the fire to two rooms (fully flashed). BRAVO! It is not my intent to judge capabilities or put down the neophite. It is my intent to illustrate the importance of expertise in this profession and to encourage the pursuit of “fireground” education. Short and sweet, but to the point. It is funny how this job inspires a random post…….. I am excited to announce the next step for Suburban Fire Tactics. The Fire Engineering Books and Videos (PennWell Publishing) text book evolved from a concept and collective group of FE articles. It will now progress into a DVD video series segment, coupled with my friends from the Right Seat (Dave Casey and Chris Niebling). Two outstanding Fire Engineering B&V products coming together for the perfect synergy. If you are attending FDIC 2016 International, I would like to invite you to attend “SFT: Decision Making for Suburban Company Officers” on Tuesday, April 19 @ 08:00. Why? If you share the same challenges as I do (minimal staffing, lack of truck companies, and response area challenges), there will be a lot of discussions about solutions to decision making processes for the non-urban environment. The RIT/RIC dilemma raised its ugly head again last week when my friend Doug Mitchell (25 to Survive) posted a chart of FDNY’s RIT statistics from 1989 to 2008. The stats that really grabbed my attention were 1. The elapsed time from the working fire declaration (10-75) until the Mayday, 19 minutes, and 2. Who found the Mayday firefighter. First alarm units, excluding the F.A.S.T. 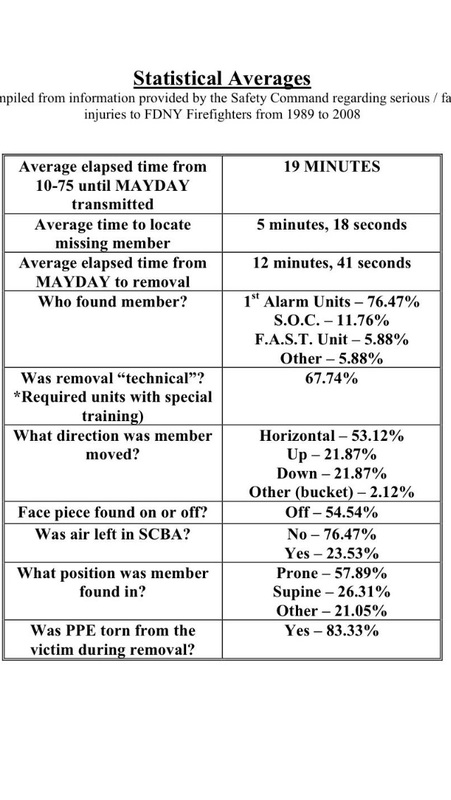 or RIT team, found the Mayday firefighter 76.47% of the instances. Now, before I start, let me acknowledge the fact that RIT/RIC is essential on every working fire or event that requires firefighters to enter an IDLH. They should be trained, have the minimal appropriate equipment and be staffed with at least 4 firefighters. However, in the text Suburban Fire Tactics, I wrote that they are prioritized lower than other fireground functions when selecting functional implementation. Why? If you analyze Standard Operating Guidelines (SOGs) or procedures that I have written for my organization and other outside organizations, you will notice that typically the RIT/RIC Company is the last arriving company out of the 5 or 6 suppression apparatus assigned to a structure fire. An argument against this philosophy includes the fact that a Mayday or RIT event often occurs 5 minutes within the onset of the fire. In all fairness, I should state that my last arriving company (6th arriving) typically arrives within 8 to 9 minutes from time of dispatch. Allow me to make my argument. The reasoning which justifies this philosophy is the fact that there are many components to firefighter and fireground safety. RIT/RIC is simply one of the components. Extinguishing the hazard, rapidly, is also a component of not only firefighter safety, but also occupant/victim safety. The point is simple, I do not want to handicap or delay this effort. SOGs must be written with the prioritization of fireground functions which achieve our objectives of saving lives and protecting property while simultaneously providing a “safety” net for operations. The fireground objectives and firefighter safety often go “hand-in-hand.” You might ask, how so? Firefighting is dangerous. This is very true, however, if you rapidly eliminate the hazard the situation just became safer for both firefighters and trapped occupants. Therefore, a good suppression plan is a great safety plan. Yes, I realize in theory that this is a great philosophy. But I also realize that it isn’t that easy. There are critical elements which must be present. There are risks involved in firefighting that we must understand before we can manage them. Managing these risks include: 1. having experienced company officers and firefighters who understand building construction, fire behavior, and tactics/strategies, 2. Training, and 3. A game plan for consistent, safe, effective, and efficient operations. What components or fireground functions must be in place for a good suppression plan in order to achieve our objectives and to also manage the risks of the fireground? As detailed above, the RIT/RIC component is one strand or element in the “safety net.” Do not rely on one simple element for the entire safety of your firefighters or occupants. Create a plan for safety, but also see the big picture: a good suppression plan is a great safety plan. The pic below was from an article/blog from my friend Doug Mitchell. One of the philosophies in SFT is that RIT/RIC is absolutely essential, however, not the end all be all in safety. Getting fire ground functions in operation in a prioritized manner is as essential to firefighter safety. Attack the “hazard” and be proactive, not reactive. In my travels around the country teaching on this topic I have found cons and pros to the philosophy. Please look at the statistics and digest. Please feel free to comment. The item which I would like you to concentrate on is the stat of who found and removed the Mayday. 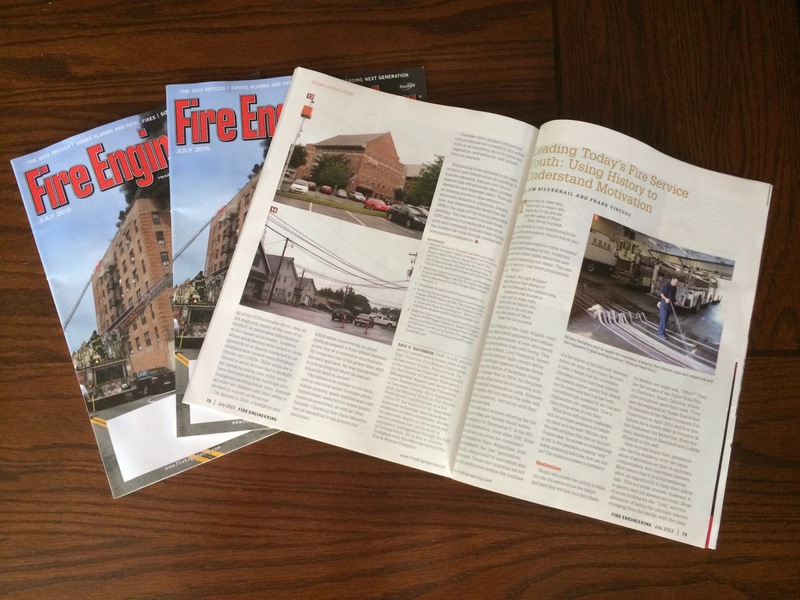 This article marks the fourth time I have made print in the Fire Engineering Magazine. Still a major thrill and complete honor.